Another collaboration with RYCA resulted in the next pop culture mash up, mixing hip-hop and Chinese icons. 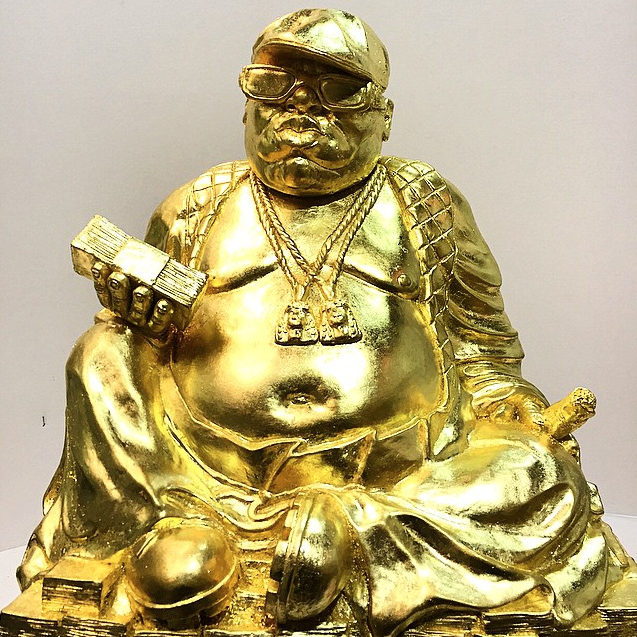 This time, the sculpture was to portray the rapper Notorious BIG as Budai, the Laughing Chinese Buddha. The idea was to juxtapose the philosophies of the two icons. The Budai has always been viewed as a symbol of contentment, what few possessions he owns are carried in a simple cloth sack. Biggie is portrayed here surrounded by symbols of conspicuous consumption and indulgence. 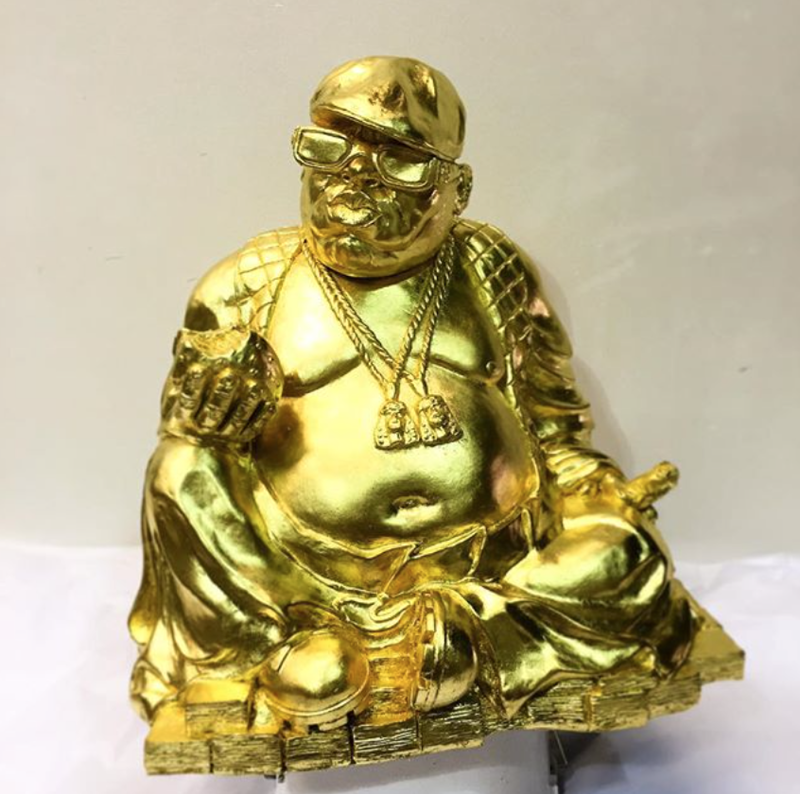 Traditionally, rubbing the belly of the Budai brings good luck, a cruel irony considering that Biggie was a man whose luck infamously ran out. As with the Zen Trooper, they were moulded and cast in resin, with limited edition runs in various finishes. The larger version had a set of replacement hands which would hold a microphone, a wad of cash or a burger. Due to the popularity of the large version, I also sculpted a mini version of Big Poppa, perfect for your mantlepiece.